Be a part of this premier conference and make your company known to software quality and testing professionals from around the world. 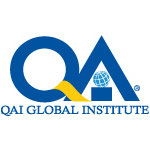 Whether you are trying to reach the entire QUEST attendee audience or a specific niche within the IT marketplace, QUEST offers the perfect opportunity to match your objectives. 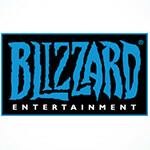 Secure your targeted QUEST participation while the top choices are still available! All opportunities are based on a first come first served basis with sponsors given first preference for an EXPO booth. To receive an information packet describing sponsorship and exhibitor opportunities, please contact Nancy Kastl, QUEST Conference Chairperson, at nkastl@kaslen.com. 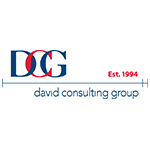 David Consulting Group (DCG) is a global provider of software analytics, software quality management and Agile development solutions. 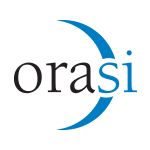 Our mission is to help companies achieve their expected outcome for projects and, where possible, to implement improvements that will make their software more efficient, user-friendly and cost effective. Since 1994, large enterprises, growing mid-cap companies and emerging technology leaders have relied on DCG to address immediate and long-term software development issues, delivering valuable improvements at the right price. 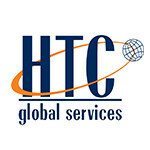 DCG maintains a U.S. corporate office and a European corporate office, DCG-SMS. 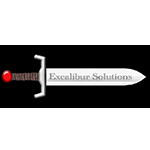 Excalibur Solutions offers contract programming, Agile Coaching, and training services. 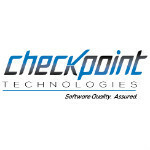 Our staff specializes in Agile software development and testing techniques, and we are available to augment your existing software development resources or to help your team transition to Agile. 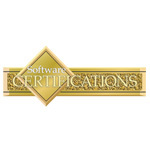 We believe in high-quality software. 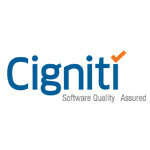 For us, the Holy Grail of software development is to deliver defect-free applications that meet customers’ true needs. Whether we are doing the work ourselves or helping others to do it, we want the final product to be something that the end users appreciate. 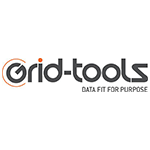 Grid-Tools provides specialist, end-to-end test data management (TDM) and requirements definition and testing solutions, helping clients radically improve how they test and develop applications and delivering valuable software on time and under budget. Our award-winning Datamaker™ test data generation engine creates, stores and shares data across an organisation. Agile Designer™, our test case design tool designs the perfect set of test cases, often using synthetic test data and virtual assets, to cut production defects by up to 95%. Grid-Tools’ global network of staff and partners specialise in delivering value and innovation. 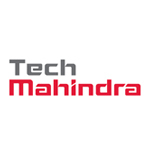 Together we bring over 30 years’ of experience in delivering market leading TDM solutions to some of the world’s largest corporations. Ranorex offers a cost-effective and comprehensive UI test automation framework that simplifies both integration and acceptance testing for developers and testing professionals, regardless of their programming or scripting experience. 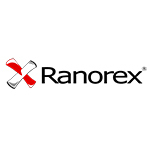 The Ranorex Automation Framework allows testing of many different application types including Web 2.0, Mobile Devices (Android, iOS), WPF, Flash/Flex, Silverlight, Qt, .NET and Java. 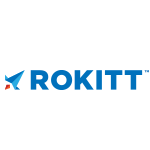 ROkITT™ solves complex business challenges in the digital and enterprise IT markets. We leverage our expertise and global partnerships in order to deliver best-in-class solutions that drive bottom line results. 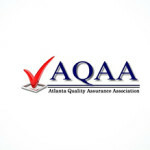 ROkITT Enterprise focuses on transformational quality assurance & testing, security and strategic IT consulting. Through ROkITT Labs, our innovation incubator, we enable our customers to gain a competitive advantage with cutting edge applications & digital solutions. TechExcel is a privately held software company dedicated to developing intelligent software solutions to optimize today’s business processes. A leading provider of integrated PPM, ALM, IT service management, and customer support solutions, TechExcel seamlessly integrates Web, smart phone Apps, and client/server technologies to provide companies with the power and flexibility needed to better manage their business. 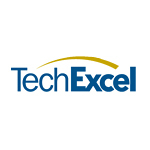 Founded in 1995 and headquartered in Lafayette, California, TechExcel maintains over 1,500 customers in 43 countries and regions in the world, including 20% of global top 500 enterprises. 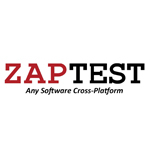 ZAPTEST is a software test automation solution for testing applications cross-platform. 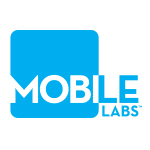 ZAPTEST allows testing of any GUI based software on any modern OS, mobile or conventional including iOS; Android; WinMo; Blackberry; Windows; Mac; and Linux, and supports testing of Agile and CI development. ZAP’s main technologies are ZAPTEST; ZAP-fiX; MultiRun; and zapFARM. With over 15 years industry experience implementing test automation processes ZAP also offers professional help to allow enterprises with testing best practices implementing ZAPTEST. Using ZAPTEST test automation teams reducing time to test development and maintenance, expedite test execution cross-platform and manage devices under test remotely within organization. 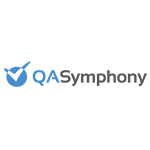 Zephyr is a leading provider of on-demand, real-time enterprise test management solutions, offering innovative applications, seamless integrations and unparalleled, real-time visibility into the quality and status of software projects. 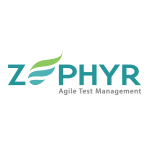 Zephyr products are the fastest growing agile test management products in the world, with more than 4000 global customers in 80 countries. 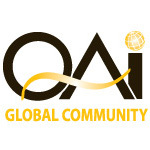 Their feature rich products address today’s dynamic and global needs across a variety of industries including finance, healthcare, media, mobile, IT services, and enterprise software. 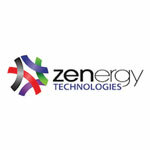 Zephyr is headquartered in Newark, CA with offices in Europe and India.